1. Play the baseline: When we play on clay, we normally entrench ourselves way behind the baseline to play high balls and try to force the opponent's mistake, since the court slows down the ball. On a hard court, the situation is very different, the court is much faster. The best option is that we stand on the baseline or just behind it, to develop a more offensive tennis game that allows us to dominate the rival and hit more winners. 2. 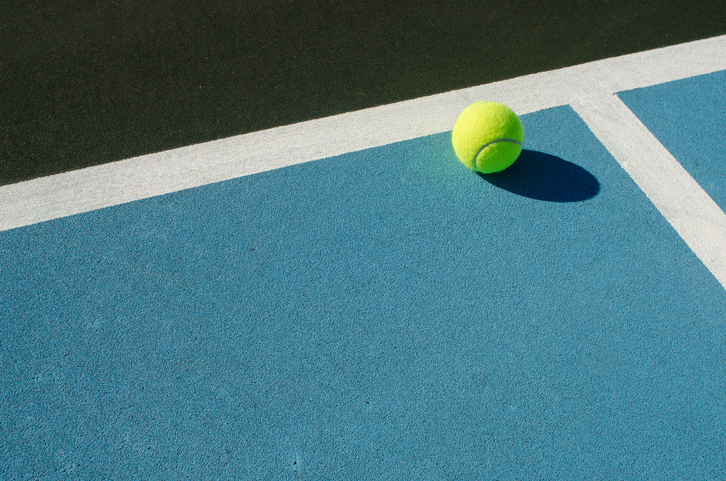 Offensive tennis: As you should know, this surface is best suited for offensive players. Ideally, you should look to hit a flatter shot with decreased height, taking advantage that the surface will not take away from the power/speed you’ve put on the ball. This also gives you the ability to put pressure on your opponents’ second serve. This will have your opponent second guessing their game play. You will also have to be ready to come to the net and close out the points where your opponent is completely subdued and out of position. 3. Shorten the points: Try to be the aggressor and finish points as soon as possible. Otherwise, a good counterattack by your opponent could lead to a quick end. Keep in mind this surface gives you a small margin for reaction time. 4. Accelerate your first serve: It is always important to have a big first serve. On a fast surface, serving big, along with plenty of speed and power, gives your opponent less time to react. Therefore, I recommend you work on flat power serves that will allow you to win points with ease. 5. Stretch: You must stretch! Stretching before starting to play on any surface is a must, especially on fast courts. Here, the joints and muscles go through plenty of strain due to the rapid changes of direction and the high pace this surface demands of us. 6. Work on fitness: As you probably know, on hard-courts, we usually don’t have long points. It is also true that due to the fast pace, we are forced to use more speed and have quicker reflexes. When we’re consistently moving, changing direction and running short sprints, our body must be prepared to withstand this type of game play. Therefore, we must have good cardio and continually strengthen our legs. Gus Alcayaga is a Senior Staff Professional and Tournament Training Director for New York Tennis at Great Neck. Gus has coached numerous ranked junior players, college players and is certified by the Argentine Tennis Association, USPTA, PTR, Net Generation, USRSA, is a USTA High Performance Coach, a USTA Competitive Training Coach, Wilson Advisory Staff and a Loriet Brand Ambassador.